One (1) Dresden foil doily with ornate lattice design. Gold foil on front and reverse. Made in Germany. Measures 4-3/8" x 2-7/8" overall; flat center measures 2-1/4" x 1-1/4". 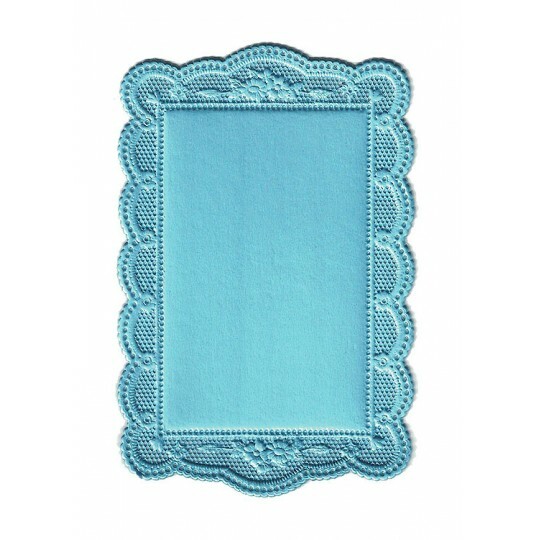 Doily is semi-sturdy and perfect for card making, embellishing and any project where you need a fancy accent. 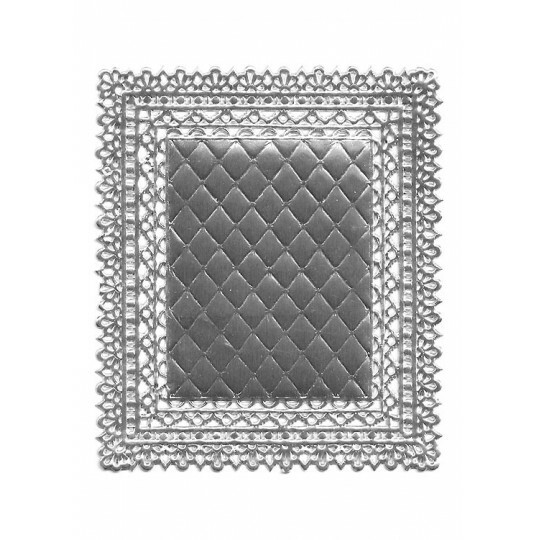 One (1) Dresden foil doily with ornate lattice design. Silver foil on front and reverse. Made in Germany. Measures 4-3/8" x 2-7/8" overall; flat center measures 2-1/4" x 1-1/4". 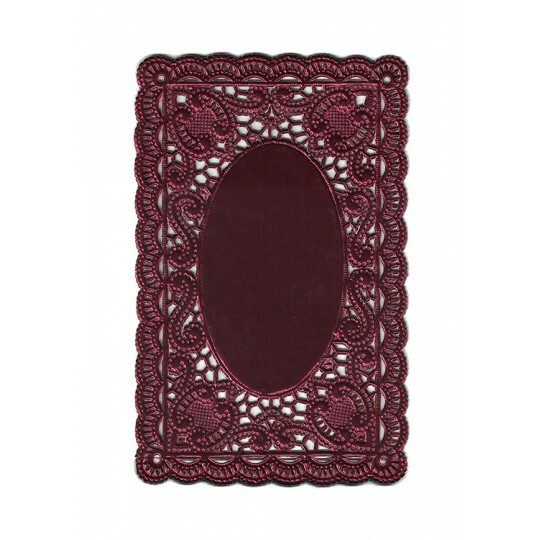 Doily is semi-sturdy and perfect for card making, embellishing and any project where you need a fancy accent. 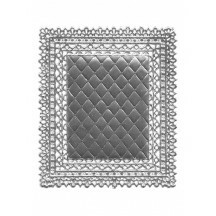 One (1) Dresden foil doily with ornate lattice design. Burgundy foil on front and reverse. Made in Germany. Measures 4-3/8" x 2-7/8" overall; flat center measures 2-1/4" x 1-1/4". 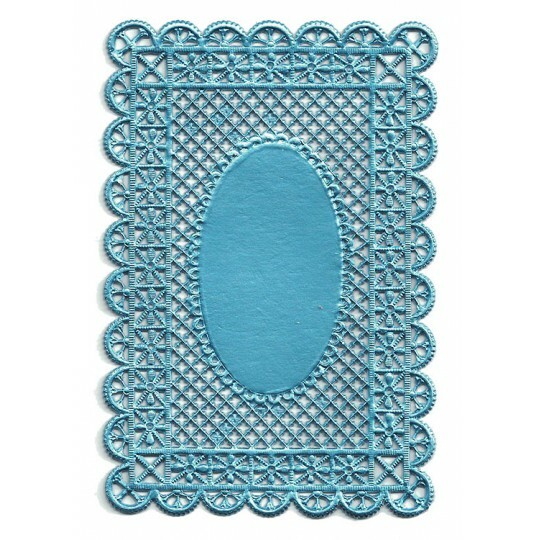 Doily is semi-sturdy and perfect for card making, embellishing and any project where you need a fancy accent. 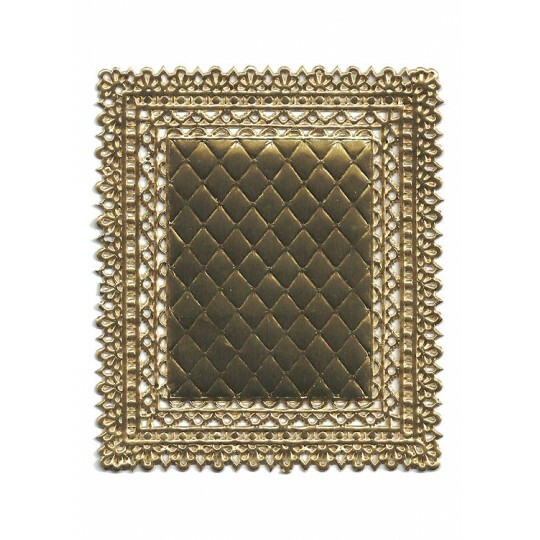 One (1) Dresden foil doily with ornate lattice design. Light blue foil on front and reverse. Made in Germany. Measures 4-3/8" x 2-7/8" overall; flat center measures 2-1/4" x 1-1/4". 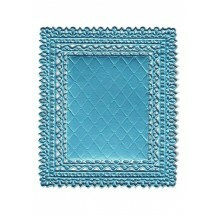 Doily is semi-sturdy and perfect for card making, embellishing and any project where you need a fancy accent. One (1) Dresden foil doily with ornate quilted design. Gold foil on front and reverse. Made in Germany. Measures 3-5/8" x 3" overall; center measures 2-3/8" x 1-3/4". 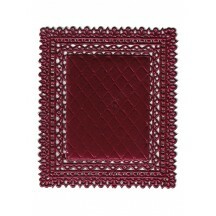 Doily is semi-sturdy and perfect for card making, embellishing and any project where you need a fancy accent. One (1) Dresden foil doily with ornate quilted design. Silver foil on front and reverse. Made in Germany. Measures 3-5/8" x 3" overall; center measures 2-3/8" x 1-3/4". Doily is semi-sturdy and perfect for card making, embellishing and any project where you need a fancy accent. 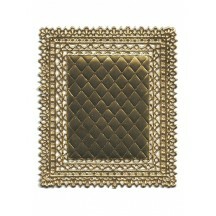 One (1) Dresden foil doily with ornate quilted design. Burgundy foil on front and reverse. Made in Germany. Measures 3-5/8" x 3" overall; center measures 2-3/8" x 1-3/4". 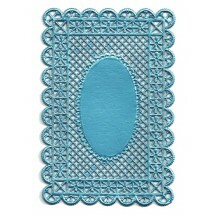 Doily is semi-sturdy and perfect for card making, embellishing and any project where you need a fancy accent. 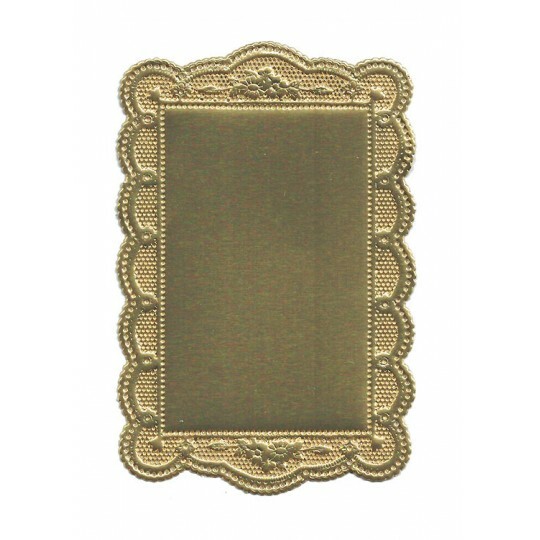 One (1) Dresden foil doily with ornate quilted design. Light blue foil on front and reverse. Made in Germany. Measures 3-5/8" x 3" overall; center measures 2-3/8" x 1-3/4". 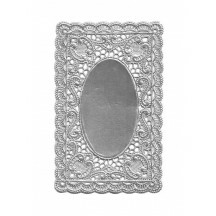 Doily is semi-sturdy and perfect for card making, embellishing and any project where you need a fancy accent. One (1) Dresden foil doily with ornate scrolled design. Gold foil on front and reverse. Made in Germany. Measures 2-3/8" x 3-3/4" overall; center measures 2-1/4" x 1-1/4". 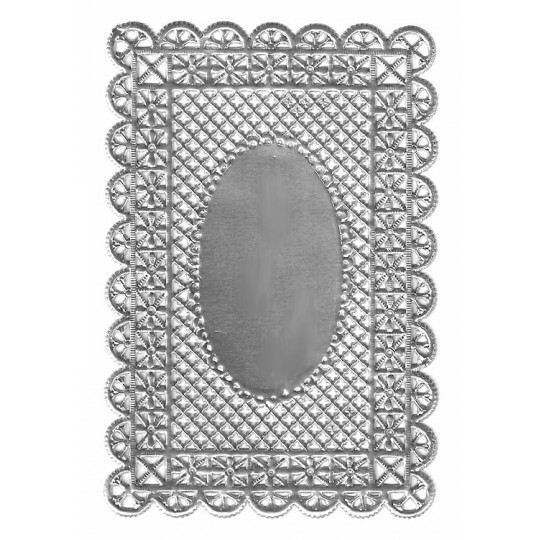 Doily is semi-sturdy and perfect for card making, embellishing and any project where you need a fancy accent. One (1) Dresden foil doily with ornate scrolled design. Silver foil on front and reverse. Made in Germany. Measures 2-3/8" x 3-3/4" overall; center measures 2-1/4" x 1-1/4". 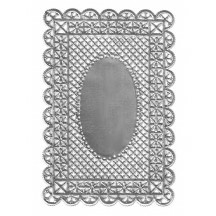 Doily is semi-sturdy and perfect for card making, embellishing and any project where you need a fancy accent. 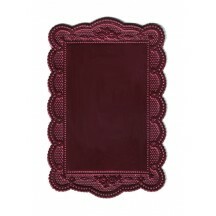 One (1) Dresden foil doily with ornate scrolled design.. Burgundy foil on front and reverse. Made in Germany. Measures 2-3/8" x 3-3/4" overall; center measures 2-1/4" x 1-1/4". 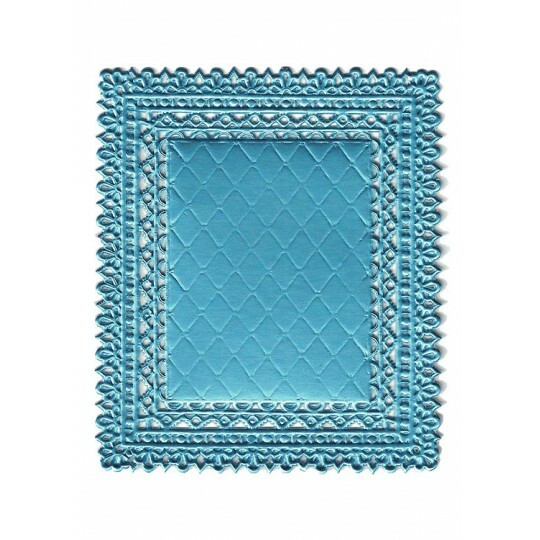 Doily is semi-sturdy and perfect for card making, embellishing and any project where you need a fancy accent. 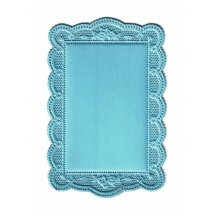 One (1) Dresden foil doily with ornate scrolled design.. Light blue foil on front and reverse. Made in Germany. Measures 2-3/8" x 3-3/4" overall; center measures 2-1/4" x 1-1/4". 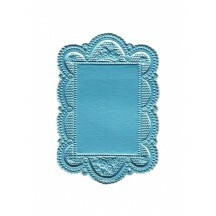 Doily is semi-sturdy and perfect for card making, embellishing and any project where you need a fancy accent. One (1) Dresden foil doily with scalloped edge and petite daisy design. Gold foil on front and reverse. Made in Germany. Measures 4" x 2-1/2" overall; center measures 2-7/8" x 1-7/8". Doily is semi-sturdy and perfect for card making, embellishing and any project where you need a fancy accent. One (1) Dresden foil doily with scalloped edge and petite daisy design. Silver foil on front and reverse. Made in Germany. Measures 4" x 2-1/2" overall; center measures 2-7/8" x 1-7/8". 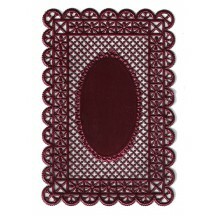 Doily is semi-sturdy and perfect for card making, embellishing and any project where you need a fancy accent. One (1) Dresden foil doily with scalloped edge and petite daisy design. Burgundy foil on front and reverse. Made in Germany. Measures 4" x 2-1/2" overall; center measures 2-7/8" x 1-7/8". 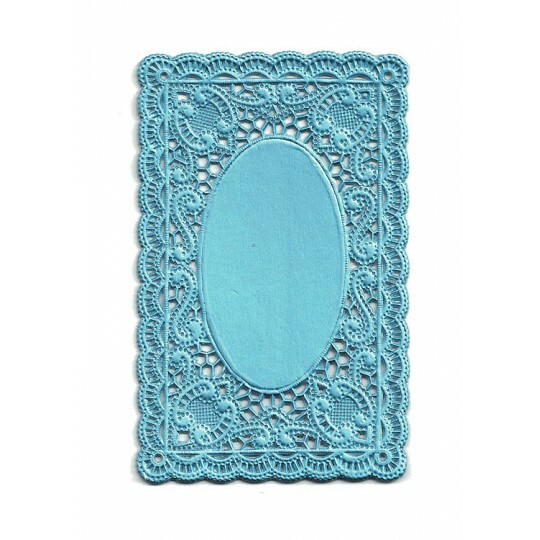 Doily is semi-sturdy and perfect for card making, embellishing and any project where you need a fancy accent. One (1) Dresden foil doily with scalloped edge and petite daisy design. Light blue foil on front and reverse. Made in Germany. Measures 4" x 2-1/2" overall; center measures 2-7/8" x 1-7/8". 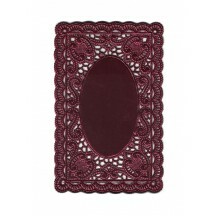 Doily is semi-sturdy and perfect for card making, embellishing and any project where you need a fancy accent. 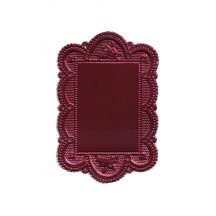 One (1) small Dresden foil doily with scalloped edge and petite rose design. Gold foil on front and reverse. Made in Germany. Measures 3-3/8" x 2-1/4" overall; center measures 2" x 1-3/8". 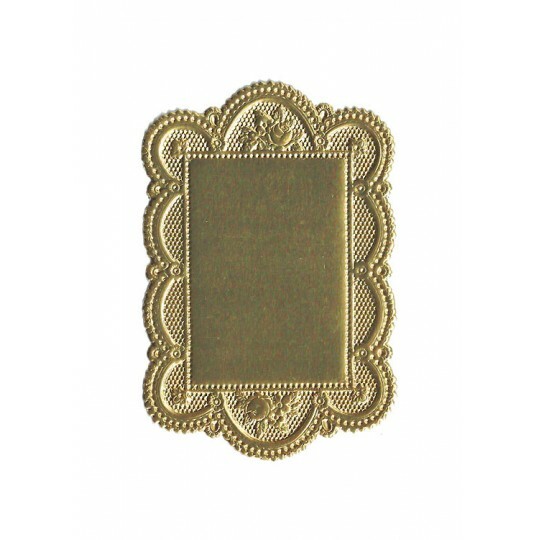 Doily is semi-sturdy and perfect for card making, embellishing and any project where you need a fancy accent. 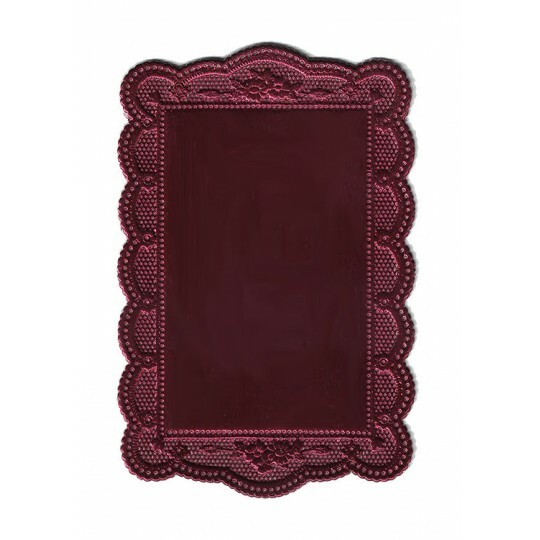 One (1) small Dresden foil doily with scalloped edge and petite rose design. Silver foil on front and reverse. Made in Germany. Measures 3-3/8" x 2-1/4" overall; center measures 2" x 1-3/8". 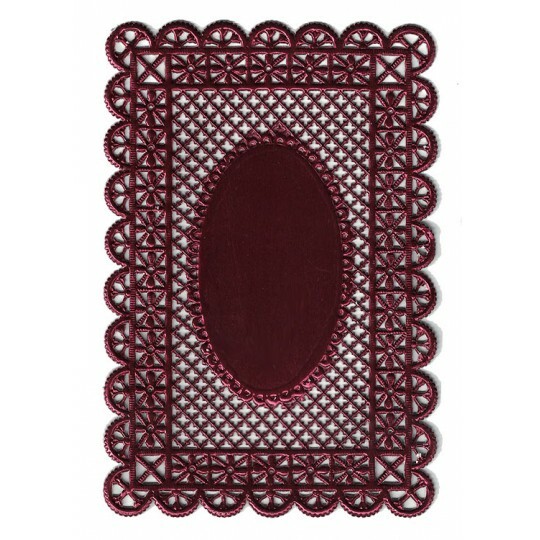 Doily is semi-sturdy and perfect for card making, embellishing and any project where you need a fancy accent. One (1) small Dresden foil doily with scalloped edge and petite rose design. Burgundy foil on front and reverse. Made in Germany. Measures 3-3/8" x 2-1/4" overall; center measures 2" x 1-3/8". 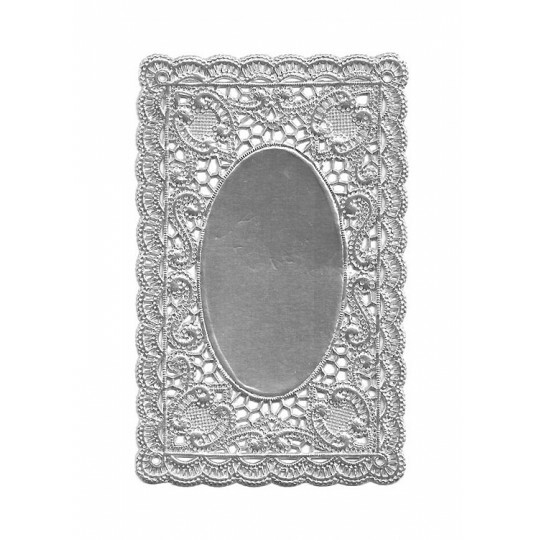 Doily is semi-sturdy and perfect for card making, embellishing and any project where you need a fancy accent. 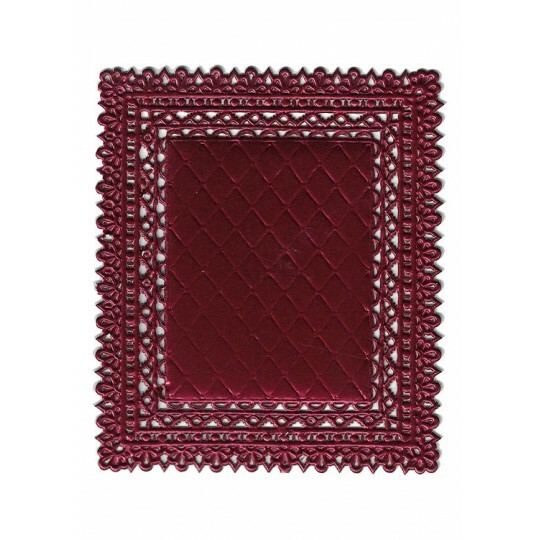 One (1) small Dresden foil doily with scalloped edge and petite rose design. Light blue foil on front and reverse. Made in Germany. Measures 3-3/8" x 2-1/4" overall; center measures 2" x 1-3/8". 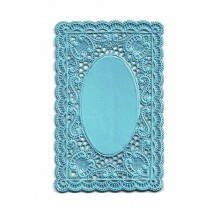 Doily is semi-sturdy and perfect for card making, embellishing and any project where you need a fancy accent.